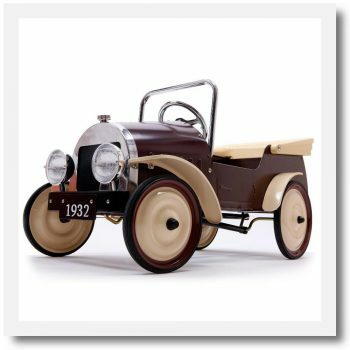 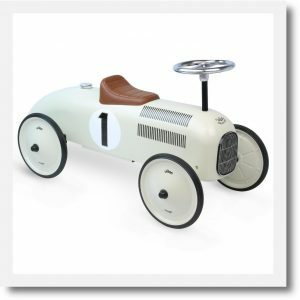 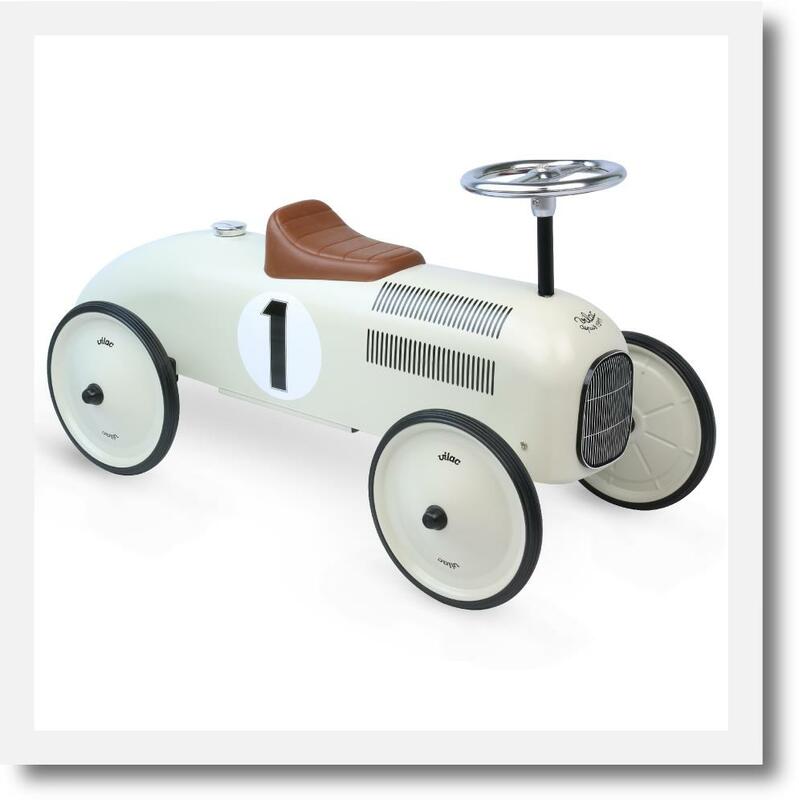 Whether roaring down the hallway or scooting across the patio, this retro-inspired Vilac white ride on classic car will inspire and delight your little ones. 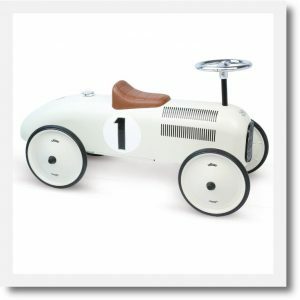 This vintage ride on car is a real head-turner and looks great out on display when not in use. 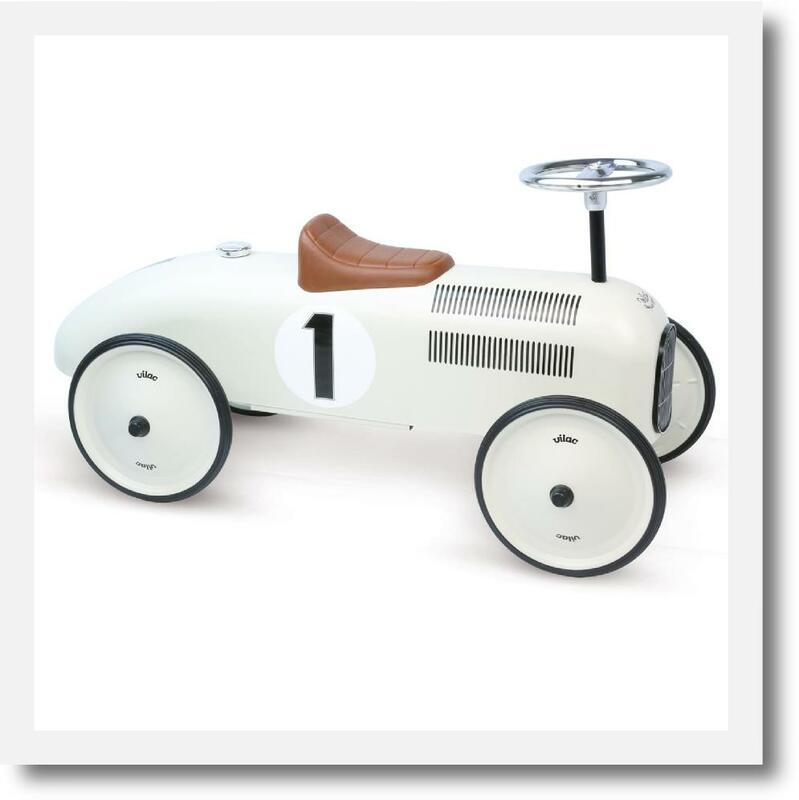 Your tiny racers will adore this pedal free ride on toy car. 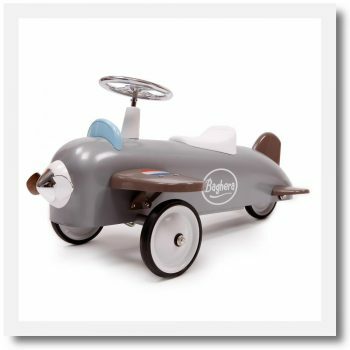 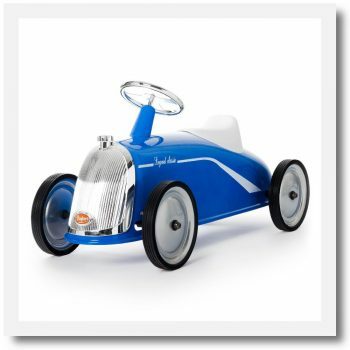 It’s built to last with a sturdy painted metal body, chrome grill and smooth rubber wheels. 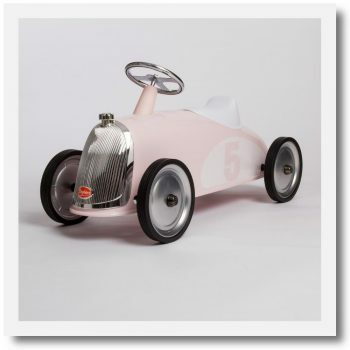 This is a stunning childrens car that’s perfect for both girls and boys and would make a very special toddler gift or first birthday present!